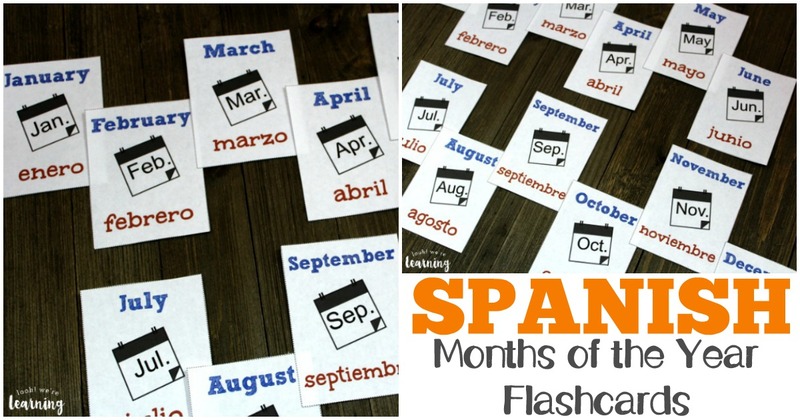 Printable Spanish Months of the Year Flashcards - Look! We're Learning! 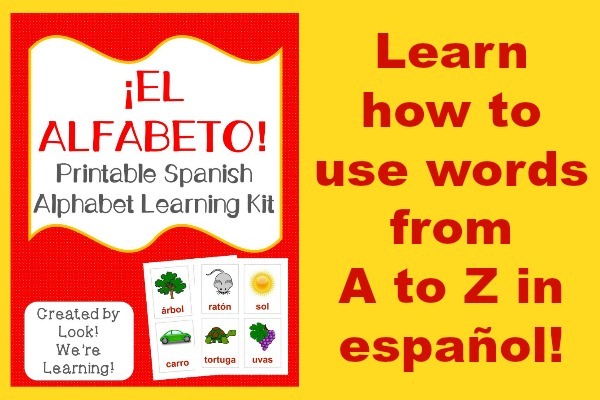 Want to learn more español with your kids? 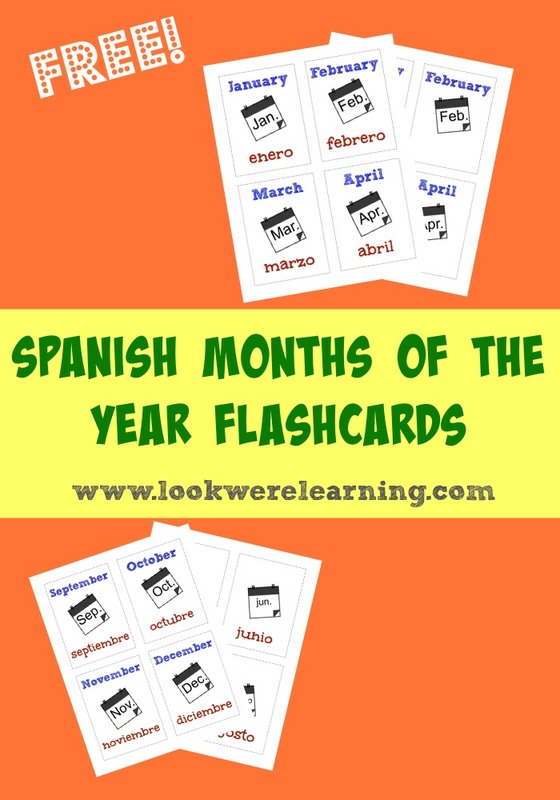 These Spanish months of the year flashcards are perfect for learning los meses del año! You can use these for calendar time, spelling practice, a matching game, and more. 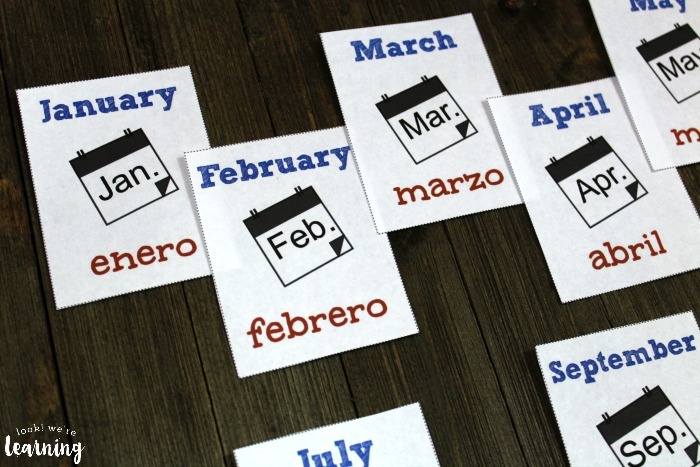 And, since the English and Spanish month words are on each card, you can even use them to introduce the months of the year in English. Great for a preschool calendar unit! 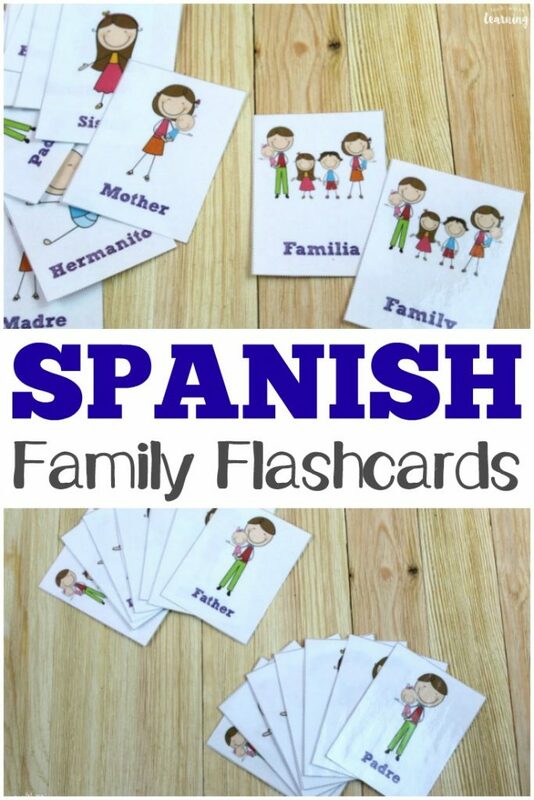 If you’ve been following along with our free printable flashcards series, you’ll remember that we’ve already featured Spanish days of the week flashcards, Spanish food flashcards, Spanish family flashcards, and Spanish opposite word flashcards. 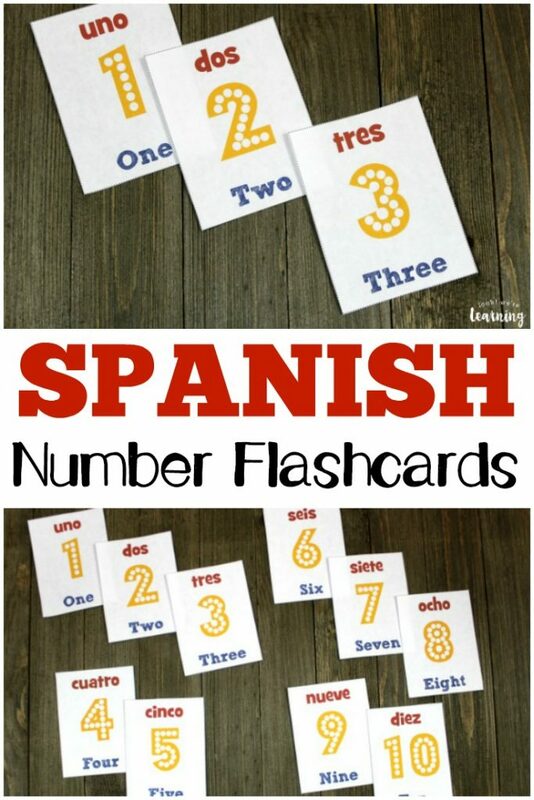 Be sure to add these to your growing Spanish flashcards collection! Need more Spanish language learning resources? Don’t miss our list of kids’ books for learning Spanish at home! 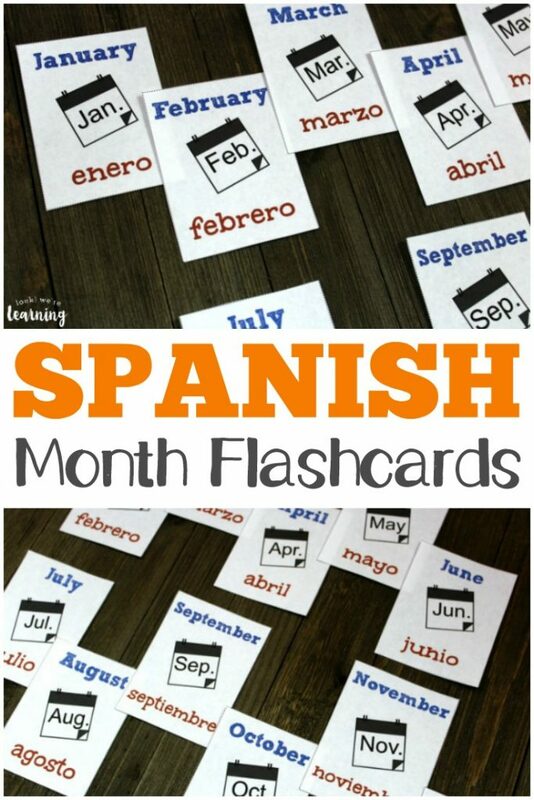 What’s In the Spanish Months of the Year Flashcards Pack? This pack includes three sets of months of the year flashcards. 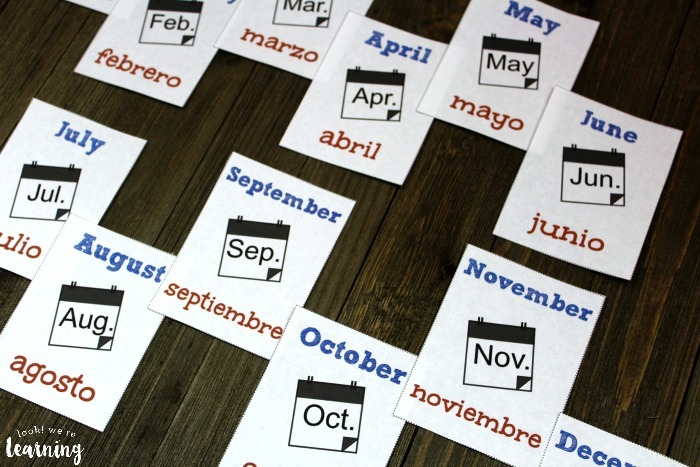 One set features both English and Spanish months, another features only English, and the third displays the Spanish months and abbreviations only. 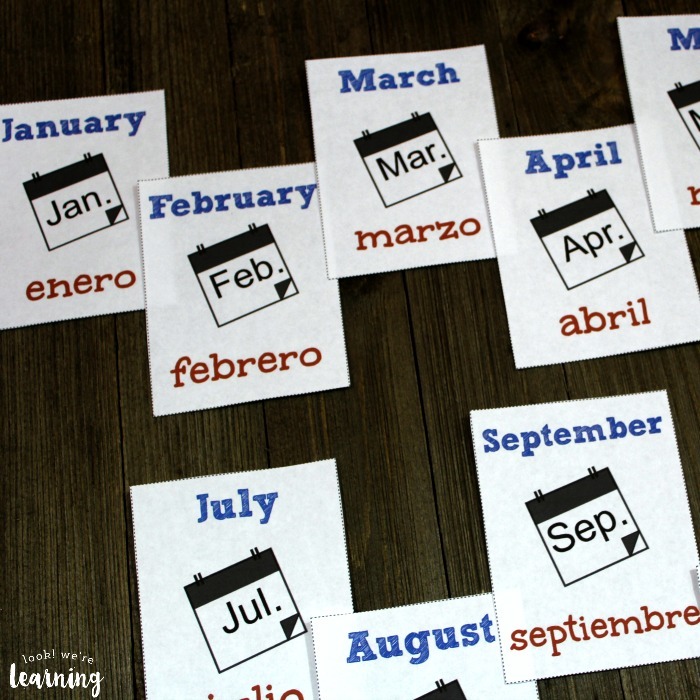 Use them to review English and Spanish months of the year with your young learners! In Spanish, days of the week and months of the year are both written in all lowercase letters. The resource also includes a pronunciation key to help you say the words correctly. 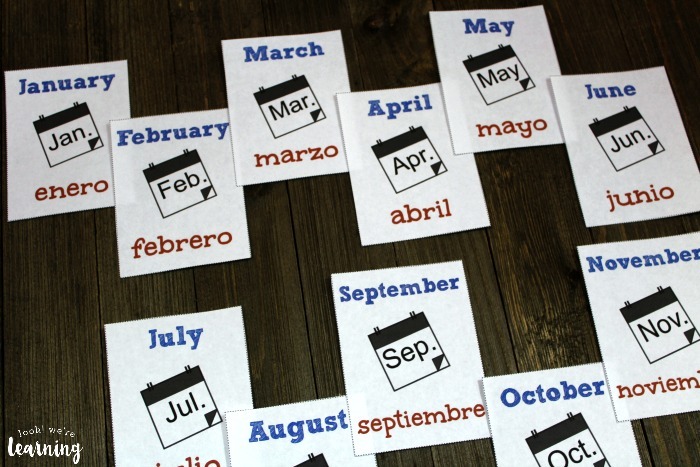 Scroll down to get your printable Spanish months of the year flashcards! 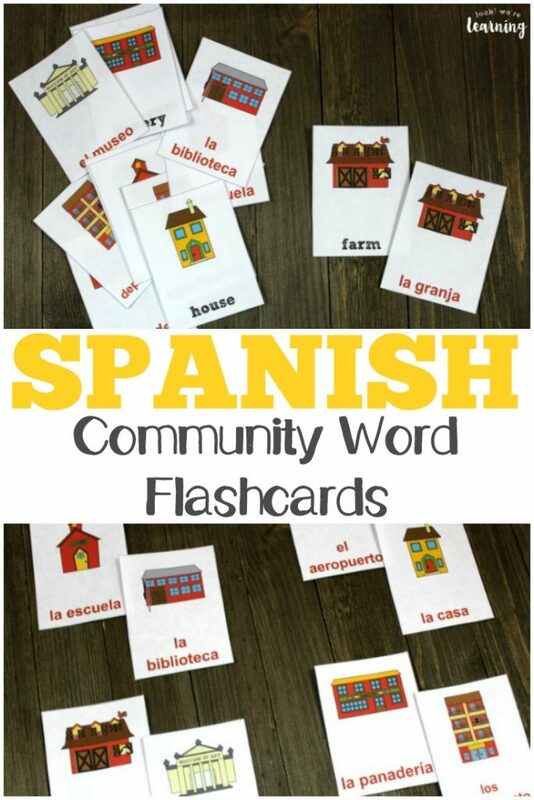 Don’t miss these other printable Spanish flashcards! And be sure to follow my Foreign Language for Homeschoolers Pinterest board for more Spanish education ideas! 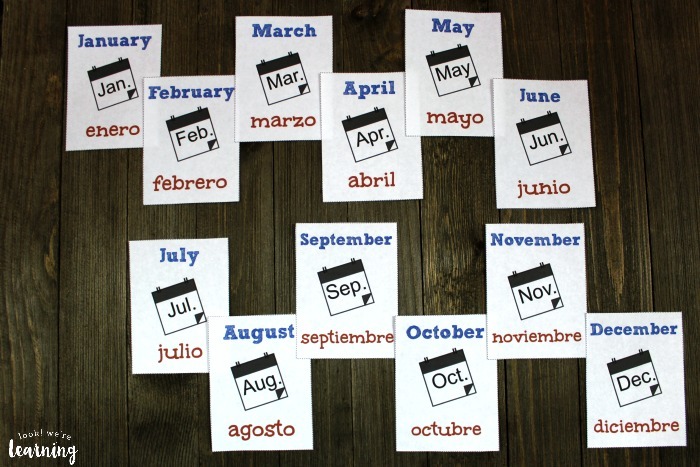 To get your copy of our printable Spanish months of the year flashcards, sign up for our email newsletter! You’ll get these flashcards absolutely free, plus you’ll score lots of other printable freebies!